Old apartments are pretty much unsurprising especially when you encounter one that hasn't been taken cared of just from its exterior. There are also those which, by choice, owners have not tended so well because of a chock-full of excuses. You might find yourself relating to this one, but don't worry, we've got you covered. Be inspired by this apartment amazing transformation into a hotel-like space, all thanks to auraprojekt. There isn't much, but whatever is here doesn't look so pleasing to the eye. 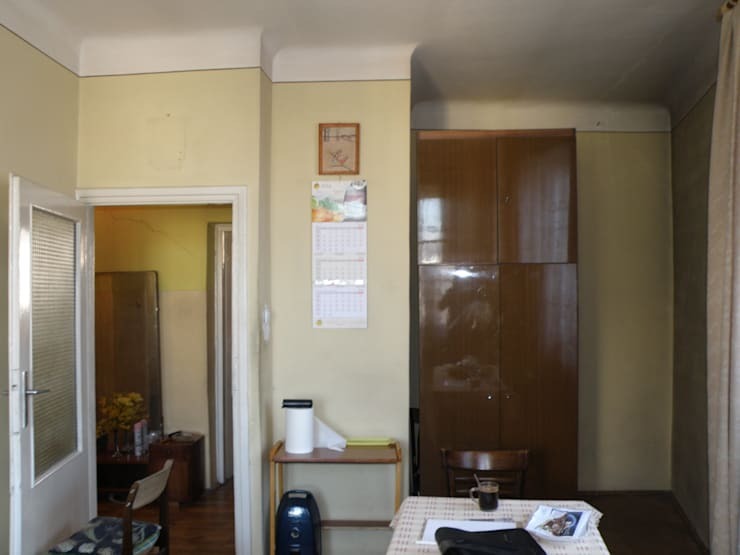 It's a soiled two-toned wall that meets a tacky covering atop a cupboard. 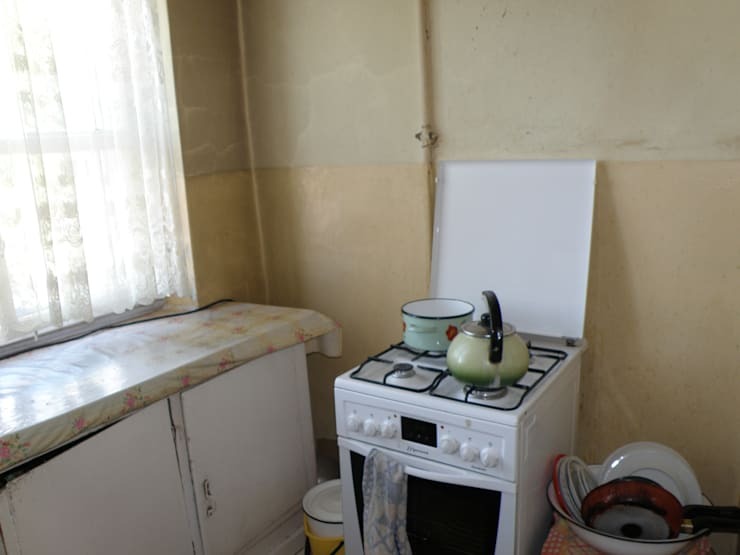 Tucked between that and the white stoveappears to be a container stacked over another, which obviously obstructs anyone aiming to open that cupboard. Crammed beside the oven, on the other hand, is that convenient dish holder. 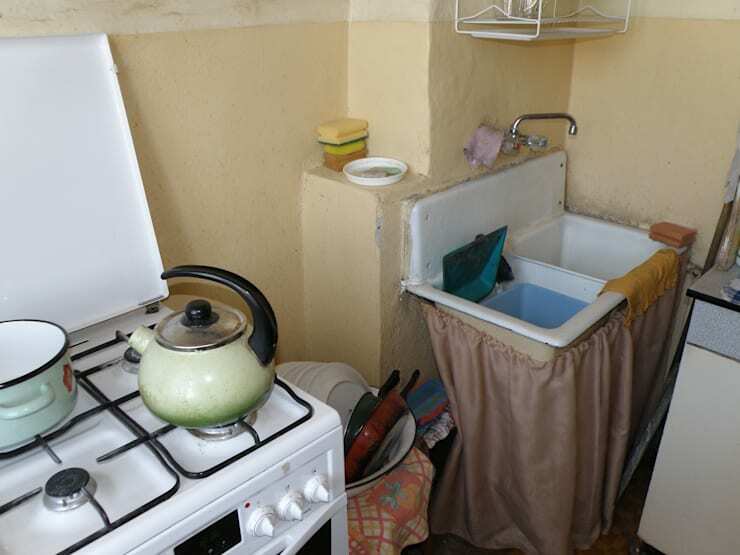 A common sight amongst Filipino households, this curtain-clad sink looks like it wanted to fit in badly in this kitchen, but failed. Look at that dish holder mounted over the sink, too. It seems like it's been placed there to allow the sink to catch drops of water from newly washed plates. This is not the kind of place you want to make your dinner, for sure. Painted in clean white with a brick accent and wooden lining, this kitchen leaves us wanting to prepare something good for dinner! Compared to the crammed appearance of this space before, the clean and minimalist theme gives it a brighter and wider look. The smooth kitchen counter also makes a good complementary surface. Plus, the dishes have been stored away in a proper dish holder. 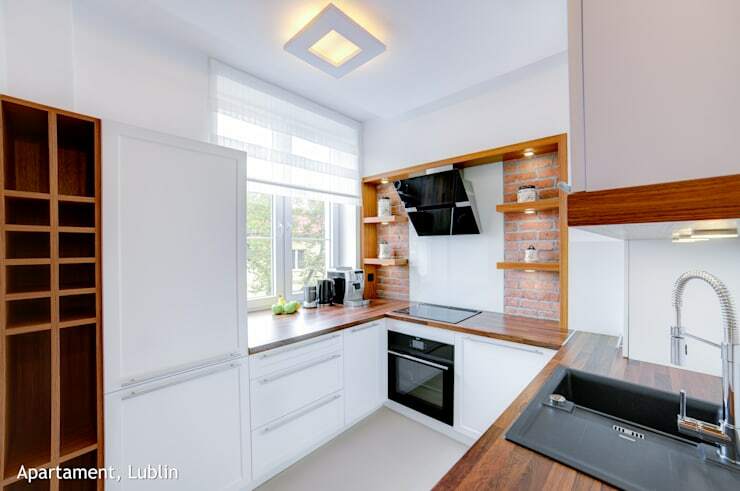 Look how that sleek electric stove top oven also blends beautifully with the counter! Hallways are supposed to be inviting, because it is the first thing people see in your home after all. But that is definitely not the case in this one. Aside from the dull colors, everything seems to be in disarray. 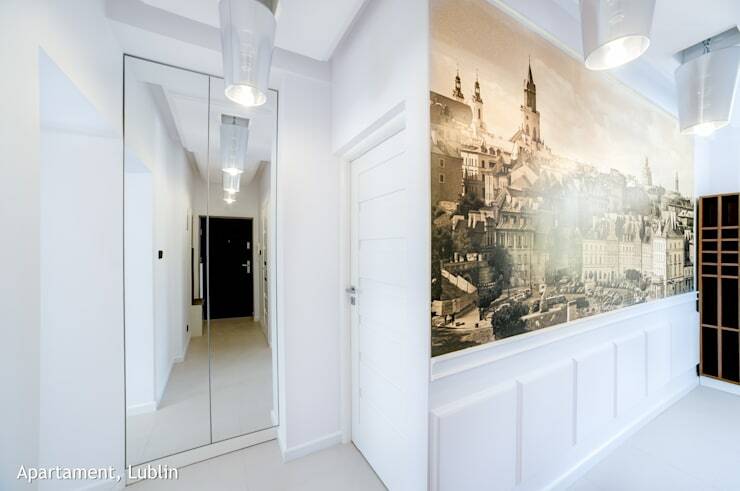 This crisp white hallway aims to impress with those modern light fixtures and mirror panels. An interesting and inspiring quick fix to an otherwise all-white interior is having a mural like this sepia-toned one over an equally interesting bottom paneling. With walls and a ceiling that are in need of repainting, this room gives us the feeling that those have been ignored to bring more attention to the inconveniently situated antique wardrobe. 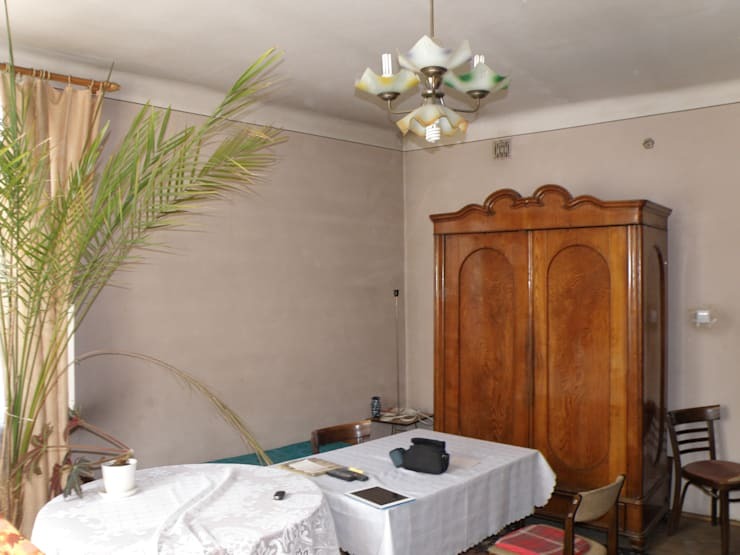 If this is the dining room, that leafy stalk might take a dip on one's soup. And while we do encourage mixing a few pieces of furniture together, this poorly coordinated two-table arrangement just doesn't seem appealing. A mixture of modern chic plays around this room that receives a good amount of lighting thanks to the windows and that pair of fancy yet sleek chandeliers. Noticeably, like with the bedroom, a two-curtain method has been applied to control the amount of light coming inside. Besides, the color curtain blends nicely against the wooden vinyl flooring and the brick wall where the television is. The furnishings, which conform to the color palette of the room, are also both comfortable and modern with no obstruction whatsoever from a cabinet or a plant stalk. 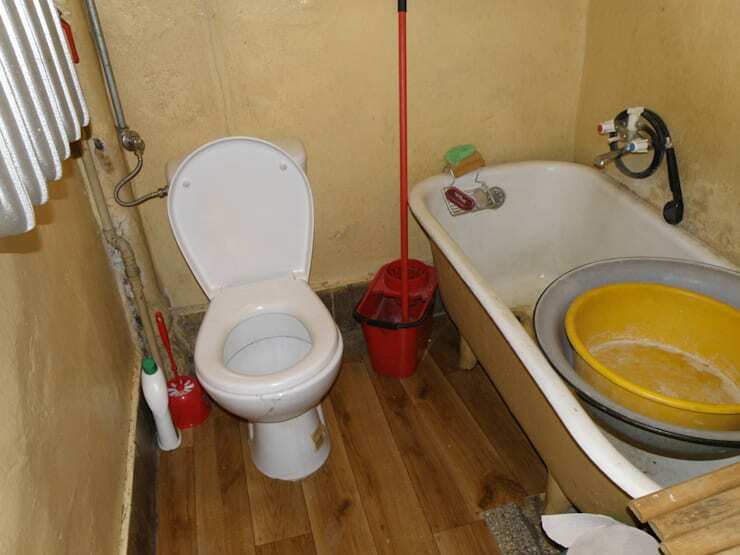 This bathroom can make you cringe, especially with that not-so white tub that has been dumped on with a stack of equally questionable wash up bowls. Zoom on over at the wrapped-around shower hose that's linked on a washed out wall. By the corner, the exposed piping also doesn't look clean at all and it appears as though the floor tile at the bottom of the tub has been torn up. With no sight of pipings and a neatly coordinated mirror, glass, and white wall combination, this bathroom is absolutely a far cry from the previous. 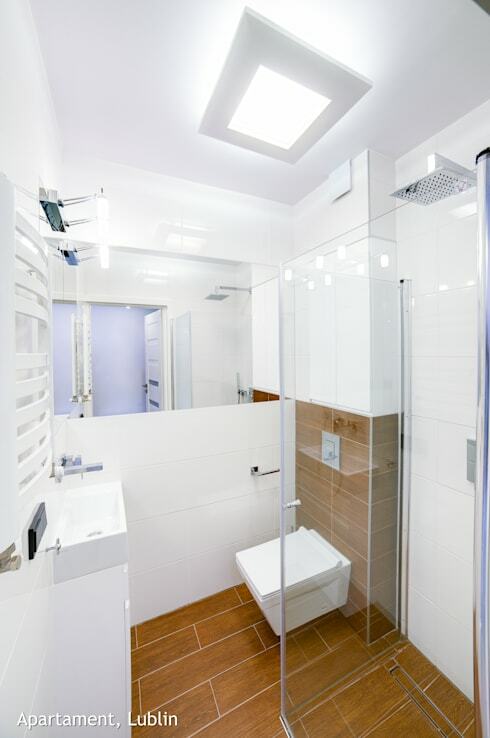 Check out the wall-mounted toilet and its wall flush above! Replacing the tub, a sleek silver shower has been used and housed by a glass cubicle. The brown tiles also nicely complement the whiteness of this room. 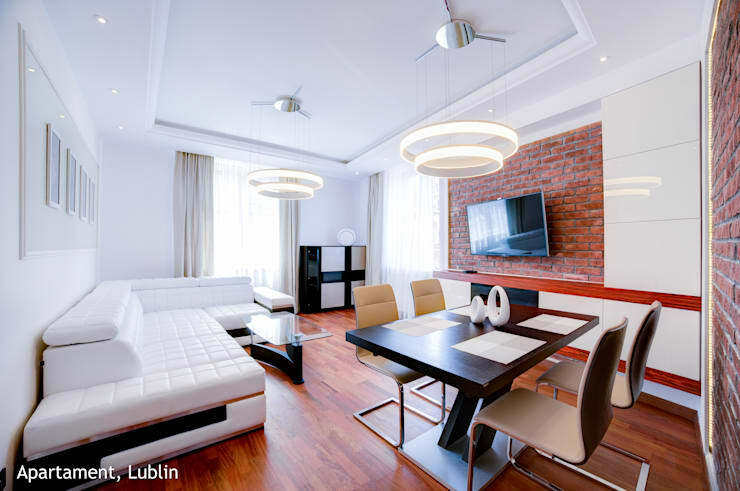 The wall-mounted lights and that one hanging by the ceiling gives a hotel vibe to this room. It's all so minimal that you might not want to put a printed bag on that plush two-person bed. 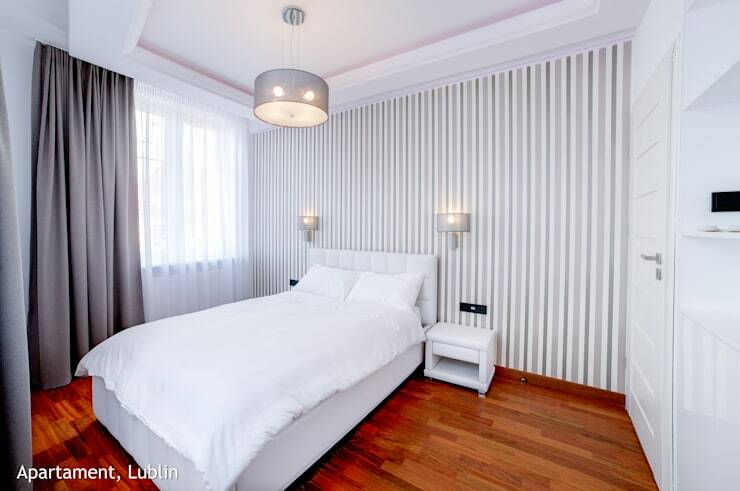 Hints of color through the striped wall and the curtain add some variation but do not over power the wooden flooring. If you'd like to be more inspired, here's a cringeworthy two-storey gets a contemporary makeover.